Spit tobacco is a general term for any form of tobacco that is placed in the mouth. 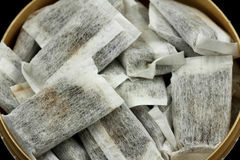 Some common terms are oral or moist snuff, loose leaf, or plug. Common brands are Copenhagen, Skoal, Grizzly and Kodiak. Snus contains more nicotine than cigarettes, so it can even be more addictive. The negative health effects of snus may be similar to smokeless tobacco use because it's a product that is placed in the mouth. These risks include developing lesions in the mouth, gum recession and cancer of the mouth or tongue. Dissolvable tobacco products slowly dissolve in the mouth, so no spitting is required. These products come in different forms including lozenges, orbs, sticks, and strips, and often looks like candy or small mints. Common brands are Camel, Marlboro and Skoal. More research needs to be done to determine the health effects of their use over a long period of time. The negative health effects of dissolvables may be similar to smokeless tobacco use because it's a product that is placed in the mouth. These risks include developing lesions in the mouth, gum recession and cancer of the mouth or tongue. There are a number of local resources that can assist you or someone you love in quitting tobacco. If you have tried to quit before, remember that quitting takes practice. Tobacco cessation opportunities in Washoe County. 1. National Cancer Institute. Smokeless Tobacco and Cancer. 2. Oral Health America, National Tobacco Spit Education Program. What You Need to Know – Spit Tobacco Facts. 3. Centers for Disease Control and Prevention. Smoking and Tobacco: Smokeless Tobacco Products and Marketing Fact Sheet.